Numerous media outlets have reported a link between granite countertops and dangerous levels of radon gas in American homes. Radon is a naturally occurring radioactive gas which results from the decay of uranium and thorium. Studies have shown prolonged exposure to elevated levels of radon is a significant health risk. 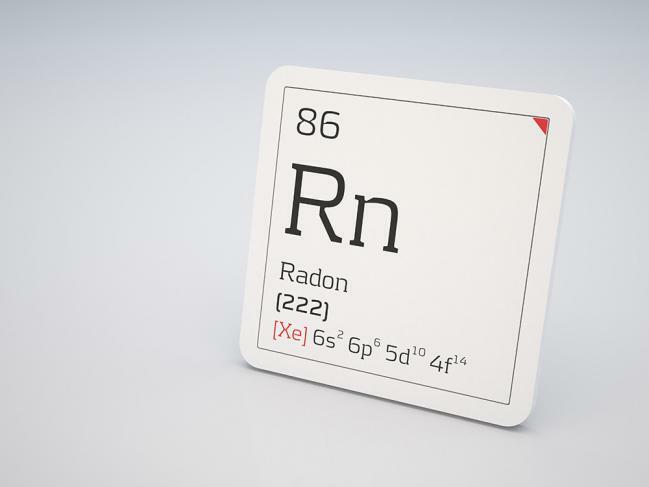 According to the Environmental Protection Agency (EPA) radon is responsible for 21,000 lung cancer deaths a year, a number second only to smoking. Where is radon found? A study published by the Marble Institute of America indicates that 69.3% of the radon found in American homes comes from the soil beneath and surrounding the structure. 18.5% is found in well water. 9.2% comes from the air outdoors. 2.5% is can be traced to building materials such as concrete. Only .5% is found in public water supplies (www.marble-institute.com/radon/). Radon enters a home through cracks in the foundation, walls, basement floor and other openings. Without adequate ventilation the gas can concentrate to dangerous levels. But what about granite countertops? Richard E. Toohey, PhD., CHP, past president of Health Physics Society, a scientific and professional organization whose members specialize in occupational and environmental radiation safety, recently indicated the risk, if any, is too small to be measured. The EPA determined, “(T)he existing data is insufficient to conclude that the types of granite commonly used in countertops are significantly increasing indoor radon levels” (www.epa.gov/radon). The risks associated with the presence of elevated indoor radon levels are real and should be taken seriously. However, the alleged link between granite countertops and increased levels of radon in American home lacks any scientific merit.